AppStart – For anyone that just purchased their first iDevice and are feeling a little too overwhelmed to start, this app does the trick. AppStart is a free app that does essentially what this blog post does, list several (a dozen or so) apps to get you started on your Appventure with your iDevice. Cartoonatic – One of my favorite videos on MTV (back when they showed videos) was AHA’s “Take on me”. Imagine a world where you could mix both cartoon line drawing versions of yourself and the real thing? Flash forward now to those creepy investment commercials where the cartoon version of people are talking about retirement. Cartoonatic falls somewhere between the two, but it’s fun, free, and comes with 9 different filters that you can add to make your movie experience more enjoyable. Be sure to take on this app for free! 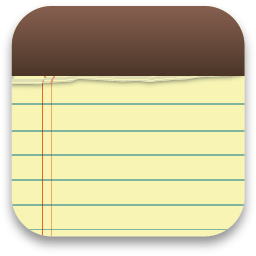 Dragon Dictation – While the iPad and other iDevices have a great many accessibility features to make life easier for anyone, this app takes those accessibility features, the built-in mic, and let’s you dictate text on the fly. Careful though, you’ll need to work on your annunciation as some of the guesses can be off. That said, this app is remarkably accurate when it comes to voice-to-text recognition. eClickerHost $9.99* – With eClicker host you create instant informal assessments. You can include images, multiple choice, agree/disagree, text-based, or true/false questions. Not only that, kids can answer via any device that hits the web. Smartphone, iPod, iPad, laptop, or computer, it doesn’t matter. You can also download the free “eClicker” app for you iDevice to make it even more enjoyable. Flipboard – Whether your a Tweeter or Facebook-er, or if you just like to read blogs in a neat “magazine-style” format, Flipboard is the app for you. I equate it to your own social magazine, created by you (and your friends and followers) for your enjoyment. A must have to any educator looking to expand their professional knowledge and network. GarageBand $4.99*– While it may not be as robust as its MacOS big brother, this app holds it’s own in the world of music creation. Even for someone like me, that’s not musically talented (with the exception of a couple of turn-tables and a microphone), I was able to create my own version of “Under Pressure” while on a recent 2-hour flight. While Queen’s version still holds court, my alternative re-mix is somewhere between Glee and Vanilla Ice. That’s all I’ll say, except to go out and get this app! History Maps – Want to see a map of what the world looked like in 1772? How about a map of Europe in 907? This app has those maps and many more including a feature to sort by category (actual World War II strategy maps!) and by era. Just looking at these real maps can be impactful, but imagine the perspective a student could gain if you discussed the tactical decisions used when storming the beaches of Normandy while looking at the actual map? iStudiez Pro– $2.99* – Voted the 2010 best app for Young Adults and best app for Parents, iStudiez Pro is the ultimate planner/organizer for students. It supports iCal integration so students can actually “subscribe” to their class calendars and have all important assignments and due dates imported into iStudiez Pro. The nifty alert features lets you know what you have coming up and when it’s time to get off the X-Box and finish that paper on the War of 1812. JotNot Scanner Pro $.99 – Ever in a workshop where you are writing down all these great ideas on those giant post-it notes? Have you ever had your students brainstorm on a white board and couldn’t figure out how to “capture” those ideas? The camera on your smartphone or iPad is great except there is always glare, it’s fuzzy, and you can only save it as a picture. Enter JotNot Pro. This .99 cent app lets you capture your notes, cleans them up, removes glare, increases contrast and saves it all as a PDF that you can post or send via email. No more trying to decipher a blurry picture! Kno – While not the first Textbook app, it’s the latest. This app gives you access to just about any textbook out there. Don’t see yours? Look it up and request it and they’ll create an e-version for you. There are also built in sticky notes, highlights, and search features as well as a “Words To Friends” built in feature that allows you to share notes with others in your class. Other than the unfortunate acronym (WTF) this feature makes Kno extremely compelling as a true “Social Textbooking” app. LeafsnapHD – Ever wonder what kind of trees you have around your house? Ever think is that poison ivy or not? This app has an extremely rich database of all the flora not only in your area but also in the world. The “Nearby Species” button actually uses the GPS to figure out what species of trees are in your area. You can even “Snap it!” and take photos of leaves to add to your collection. iMovie – $4.99 – If you never pay for another app again, make your last app purchase iMovie. That’s how strongly I feel about this app. While it may only contain about 75% of features compared to the MacOS version, what it does contain is alarmingly easy to use tools for creating amazing movies and presentations. Videos, music, and photos on your iPad are already integrated in the app. Not to mention the drag and drop, tap and drag ease with which you navigate the controls, and all the sudden you realize that every student (and teacher) could be a Spielberg. Not es Apps (Notes, Evernote, Penultimate $1.99, Popplet Lite, AudioNote$4.99*) – Cheating big time here for the letter “N”. This is one of the categories I’ve found that everyone has their own preference. Those that like to write by hand (or stylus) tend to lean towards the scientific-like Penultimate. For those that are audio-learners and note-takers, an app like AudioNote actually records and meta-tags your words while your typing so you can jump to different parts of the audio based on what you were typing at that exact moment. Of course, the good ol’ standby native Notes app still works well for quick notes on the fly. PuppetPals HD $2.99 Optional add-on – While iMovie may be the most essential app for creativity, this is surely the most fun. This free app comes equipped with several Western-themed puppet characters and backgrounds. Those alone can provide hours of entertainment and engagement for any kid aged 2 to 18. I’d recommend paying the $2.99 for the Director’s Pass. Not only does it give you hundreds of more characters and backgrounds (hello Conan! ), but you can also upload your own photos or photos from the net and make them into puppets. Playing with puppets hasn’t been this fun since Fraggle Rock went off the air! QR Code Scanner App – Like the notes app, there are several different QR Reader apps out there and a great many of them are free. The explosion of QR (aka “Quick Response”) codes over the last year has really started quite the revolution in how augmented reality could work in schools. There are a number of sites where you can create your own codes. qrcode.kaywa.com is good for a quick QR code that you can create in a various sizes. My personal favorite is snap.vu. With a free account you can create and track the hits on your QR codes as well as make your own QR contact code. Great for business cards or scavenger hunts! iReading – If you look up iReading in the app store you’ll find that there are dozens of iReading books available, from free to $2.99. The great things besides the ability to read along with a human voice with all of these stories, is that kids can actually record themselves reading along for instant feedback. There are many other collections of interactive book apps out there and I think these will continue to flourish on a platform like the iPad. 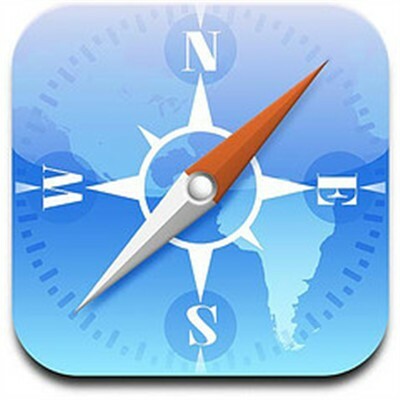 Safari – The grand-daddy of them all is both a native app and most likely, the most used app on any iDevice. When it comes down to it, being able to browse the internet while on the move makes any device compelling. With Safari, Apple’s web-browser of choice, you can not only surf and bookmark, but with an iDevice you can actually create your own web apps, or shortcuts onto your devices home screen. I’m hopeful that the next OS will also give you the ability to choose the picture you want to represent the app, but for now, I’m satisfied being able to get to all my Google apps via my own home screen apps. TED – A must-have in anyone’s video library, TED (Technology Engineering Design) is actually a website viewable on any device with an internet connection. 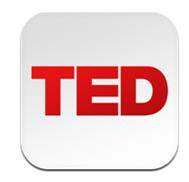 The TED app offers you an enriching experience and an easy way to search all your favorite “TED Talks”. If you really want to blow your mind, search for “print human organ” and witness Dr Anthony Atala’s amazing device that actually prints human tissue to form organs out of your own DNA. Amazing! iTunes U – Using the “U” in iTunesU to slide it into this letter and shamelessly self-promote here, as I am an iTunesU professor. There is a wealth of resources from Middle School Math all the way to MIT physics available in iTunesU. The best part is that your students can download all of this free content and view it off-line, saving your district’s precious bandwidth and making your IT director happy all at the same time! Video Calculus – Like iTunesU, there is a ton of free content here. Unlike iTunesU, you can actually watch the video tutorials and take notes right in the app! This app, along with it’s sister-app Video Science, provide great resources for those visual kids that need a little intervention or those students that desire to push the envelope. Say goodbye to the $50/hr tutor with this app. Wikipanion – Regardless of your views on the validity of Wikipedia, it’s the world’s number one resource for information. It’s now said that incorrect information on Wikipedia is corrected within five minutes. This free app, gives you a cleaner, more iOS-friendly, interface with Wikipedia and has some hidden features like the “Current Location” button which shows you Wikipedia articles based on where you are located. 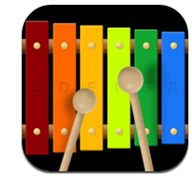 Xylophone – Ok, so there are not a lot of apps that start with the letter X, but this one gives me an opportunity to talk about all the amazing free instrument apps that are out there. Shaker, Virtuoso, GuitarChord, and Drum Kit XL are just a few others that those musically inclined or otherwise should check out. Youtube – Another native app, but without the YouTube app and YouTube video integration, the iPad would have fallen flat on its face. With well over 2 billion views a day, YouTube has become the face of entertainment but also a valuable resource for educational videos, like Khan Academy. YouTube may be blocked in your district, but the integration of YouTube with just about everything may make your district reconsider. Zoola – Free and $2.99* – We end with a fun app that really shows the versatility of anything you put on an iDevice. This app offers HD quality photos of over 250 different animals for your child to learn. It also shows some very heart-warming photos of Mom, Dad, and baby animals interacting. The amount of letter-sound, picture-sound, and phonics apps out there like Zoola are phenomenal. So there you have it, my first list of essential apps for educators A-Z. Disagree with me? Think I could have done better? Feel free to comment below on any apps I might have missed. Who knows, it might show up on the 2nd Edition! Posted on June 23, 2011, in Uncategorized. Bookmark the permalink. 2 Comments. Great list. I would add “Stick Pick.” It’s an instructional tool app for calling on students randomly, and suggests questions to ask your students based on ability level. Great for differentiation.